WHILE SUPPLIES LAST, YOU WILL GET A GRAWLIX STICKER AND ACH BASEBALL CARD! Despite being born into a white, upper-middle class family, Adam has been able to overcome the numerous non-existent hurdles that have faced him to become by far the funniest comedian on his block. He is a national touring headliner who plays clubs and colleges all over the country. He was recently named one of 25 “Comics to Watch” by Esquire Magazine and made his late-night television debut on Conan. He has appeared on ABC’s “Happy Endings” and was featured on the Nerdist podcast. Cayton-Holland has also performed at the Montreal Just For Laughs, SXSW, Bridgetown Comedy and Rooftop Comedy festivals, and his monthly show and web series “The Grawlix” is a critically-lauded darling child that you should know and love (www.grawlixcomedy.com). You should also check out his website www.adamisfreakingoutrightnow.com. Adam would do it for you. 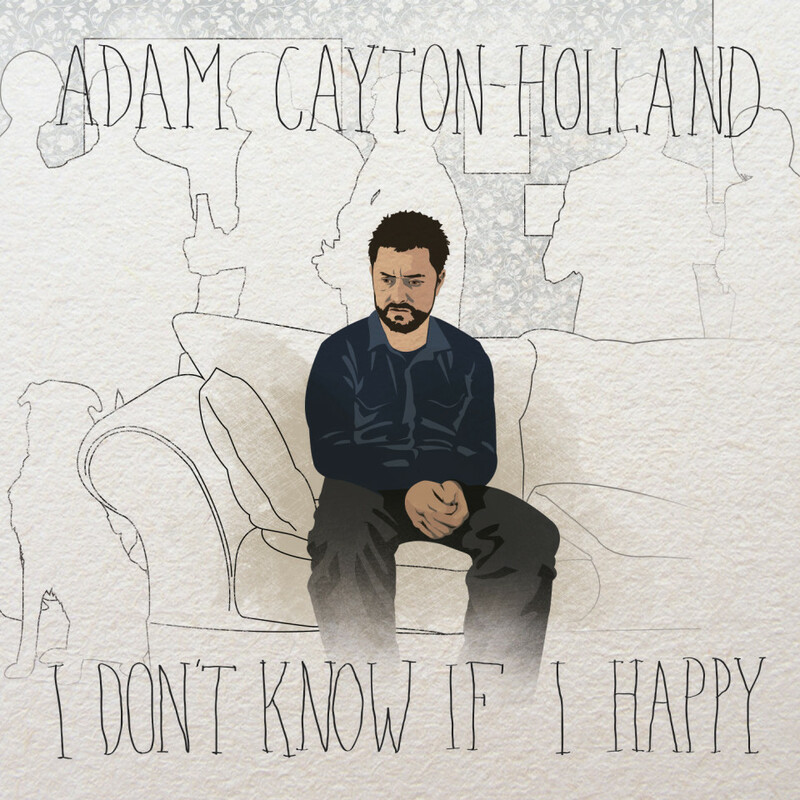 “I Don’t Know If I Happy” is Adam’s debut album which was recorded over 2 nights at the Bug Theater with his partner in crime, Andrew Orvedahl.